It’s been a month now since the Mid-Season Invitational and teams all over the world are grinding it out at the Summer Split of their respective regions, with qualification to Worlds in mind. This rivalry formed during the Mid-Season Invitational when Team SoloMid and G2 Esports faced each other in the Group Stage. Both players won one game each, leaving the record at 1-1, but G2 gets the better end of the trade after their win put them through the group stage at the cost of TSM. Surely revenge is the name of the game here for TSM, where they would want to redeem themselves. Both players were seen as rivals to Faker whenever they get a chance to compete in international events. And rightfully so. It’s pretty much clear that TSM Bjergsen and G2Perkz have exceptional talent, but alarming to see them fall everytime they compete on the international stage. With their teams having contrasting fate at MSI, Luka ‘Perkz’ Perković has finally redeemed himself at the international stage, even taking a game off against SKT. 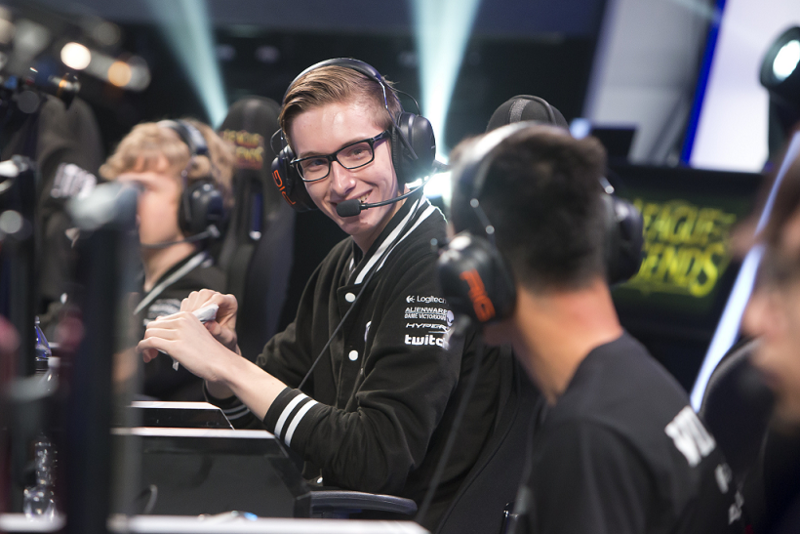 Now it’s Søren ‘Bjergsen’ Bjerg’s chance once again to redeem himself at the international stage. While both are good friends, friendship is often forgotten when players step into the rift. The Bjerger King will once again enter Perkz’ “Lane Kingdom” and prove who is the true king of the mid lane. Faker has always been the one who dominated the mid lane that he elevated his status from “king” to “god” for some time now. Inevitably, as with all mid laners, these two has been associated with the Unkillable Demon King. Rasmus ‘Caps’ Winther has been dubbed as Baby Faker since he joined Fnatic due to his ability to create outplays, giving you an image of Faker himself. With all these hype, Caps has not really been a force to reckon with (at least for now) as his inconsistent performance has haunted him all throughout his Fnatic career. Surely he could easily go on par with the entire top tier mid laners all over the world if he could play the game at the highest level consistently. Just take a look at this clip and you’ll agree with me. While Caps has alluded to Faker, Nicolaj ‘Jensen’ Jensen antagonized Faker by tweeting that he will be clapping him. We all know what happened. Moral of the story? You don’t like it when Faker’s angry. Jensen went 0-6 against Faker that time. To be fair, he has been a top tier mid laner for a while in NA now, proving himself as a worthy rival to Bjergsen. But his inability to perform at the big stage is pulling down his reputation. This is the best chance for both players to prove themselves. Will Baby Faker finally evolve to Adult Faker? Or will Jensen finally get a chance to clap Faker… well, Baby Faker that is. Zed. Faker. Mention these two names and surely you will remember Fabian ‘Febiven’ Diepstraten and Ryu ‘Ryu’ Sang-wook. With Faker having ascended to the status of “god” (having Ryu as the sacrifice), a “godslayer” was bound to be born elsewhere. That godslayer’s name is Febiven. If you have missed that epic moment when the god in the mid lane was slain, then you better watch this. Attaining the height of his career when he was in Fnatic, Febiven did the unthinkable and solo-killed Faker. I repeat in bold, italics, and with three exclamation points: solo-killed Faker, TWICE!!! With both players reaching their peak from a meeting with Faker, both have been a shadow of their past now: Ryu in a currently struggling Phoenix1 and Febiven losing that EU mid lane hype ever since Fnatic fell into shambles. While we may not see a Zed mirror match up, it will still be interesting to see if this will spark a revival in either player’s career. This entry was posted in eSports and tagged Blog, League of Legends, LOL, Sports. Bookmark the permalink.